“This isn’t usual. This is history.” This is arguably the most important moment in American History making this a completely necessary film. Not only was it a film the needed to be made, it was a fantastic film all around. Steven Spielberg tells an incredible interpretation of this powerful moment in our time and this is mostly in part to a flawless performance from the greatest actor living today as the titular, President Abraham Lincoln. Stylistically, Spielberg doesn’t offer anything new or tricky, which works perfectly for the the film he was trying to make. What he does offer is simply a very straightforward and linear retelling of a historical event that deserved to be expressed in this, the greatest art form. Spielberg just does his job, does it well and allows his actors to do their job. You just have to expect greatness from Daniel Day-Lewis and yes it is his show and he is perfect in the role, but it’s also complete perdenent that I mention the other performances as well. Sally Field does wonders as Lincoln’s neurotic wife, a performance that I feel must’ve been trying. John Hawkes, Tim Blake Nelson and James Spader play very well off of each other. Other great actors make up a fantastic supporting cast; Hal Holbrook, Jared Harris, Jackie Earle Haley, David Straihairn and even Joseph Gordon-Levitt is along for the carriage ride. Tommy Lee Jones is an actor who deserves undying praise for his vivid portrayal of Thaddeus Stevens. Making a film is a collaborative project and in this case there were a lot of talented people collaborating, but it’s the performance of the Abraham Lincoln that makes this film truly extraordinary. Abraham Lincoln may be the most iconic historical figure ever and for him to justly be portrayed in a film would take an incredible performance. Daniel Day-Lewis offers that and more with a grand portrayal filled with subtleties and confident choices. He takes a great man, one we could only imagine actually being in the presence, and makes him utterly human. Lincoln is just a great film through and through. It’s made by a man who still knows how to make a great film and it serves as a reminder and proof that Daniel Day-Lewis is the greatest living actor. This is a film where the drama and climaxes come from decisions and conversations. It’s a tasteful and mature film meant to bring us to a time and place and to tell the tale of one of the most important points in American history. It was a film that needed to be made and it was incredible. Looper is an imaginative and bleak film centering around a hit man who kills people from the future. These type of hit men are called loopers and this is because when the time comes each looper must be responsible for “closing the loop” when their future-self is zapped back to them. 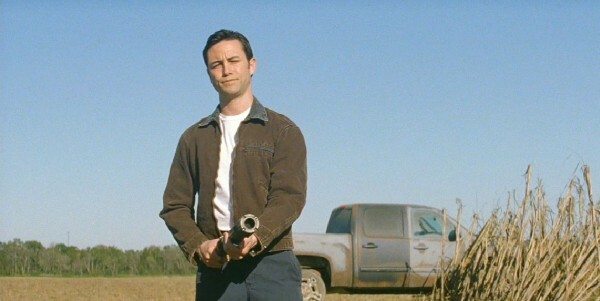 The conflict of Looper comes in the form of protagonist Joe’s (Joseph Gordon-Levitt) older self (Bruce Willis) being zapped back to 2044 and escaping. Looper offers a lot of fresh and original ideas, but where it excels is in its fresh and original storytelling. Looper wasn’t just a good idea. Due to a utilization of its ideas and characters Looper was a flawless piece of art. I could expect nothing less from its creator, director Rian Johnson. Johnson was the director of only two films prior to Looper, The Brothers Bloom and his debut film, Brick. I loved both of them and subsequently I’ve been looking forward to Looper for a while now. Looper is Rian Johnson’s best film and that’s coming from somebody who could easily call Brick a masterpiece. All three of the films Johnson has made are entirely unique. Stylistically, tonally, execution, you name it, all three of them are just very different films and on top of that, each of them are great in their own way. Looper stands above the pack as film masquerading as a dark and enthralling science fiction film when in reality it’s more importantly a human drama filled with complexities and violence. Looper was a very entertaining film. There wasn’t a time when I was watching the film and not enjoying myself, it was fun and it’s a movie I see myself watching again and again. Looking layers deep, while Looper is completely entertaining, it is also a very dark and serious drama that takes on some very broad and insightful ideas. It’s a movie about time-travel, it’s a movie about death, it’s a movie about living and what that entails, it’s a movie about conscience, but most of all it’s a movie about decisions and the impact those decisions can have. I loved Looper and I can’t wait to see it again. I loved the dialogue and the action. I loved each character and what they added to the overall drama of it all. There’s always such creativity to both the stories Rian Johnson tells and the way Rian Johnson tells them. He proofs that again here with his greatest feat yet. Looper is a masterpiece through and through. The art of performance is an art form that’s hard not to find an appreciation for if you love movies. As a result of this appreciation, this is a list that has been in the works for a very long time. To preface this list of the people I consider the greatest actors in existence I’d like to make a few things clear. This is a list of actors that are all around the greatest performers, but it’s also a list of actors whom, on a personal level, I just enjoy watching. Along with the names of my favorite actors I’ve also listed three films in front of each actor. I want to make it apparent that these three films aren’t necessarily the three best films to come out of that actor’s career, it’s a list of that actor’s three best performances. This is a broad list so I’d like to start with a list of Honorable Mention (in no particular order). Most, if not all, will be surprised to find actors like Morgan Freeman, Marlon Brando, Philip Seymour Hoffman, Kevin Spacey and Brad Pitt on a list of Honorable Mention while Joseph Gordon-Levitt is right here at number 10. There’s never a need to justify or rationalize one’s opinions when it comes to discussing something as subjective as film. I love Joseph Gordon-Levitt’s aura of charisma any time he’s on screen. He knows how to do what he does and he does it perfectly. I respect him a lot. 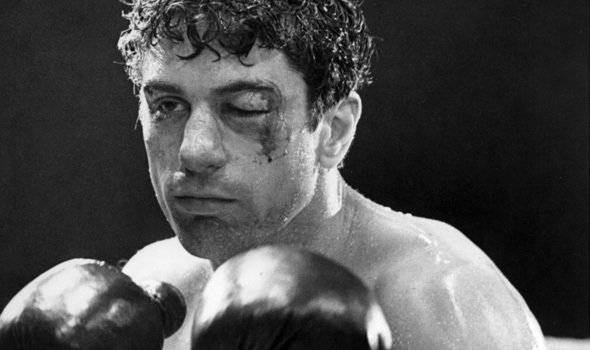 This list would be incomplete without the great Robert De Niro. He deserves every ounce of praise he gets for any role he plays. There is certainly an intensity to the way he becomes engrossed in his characters and like any brilliant actor, he really does have such a broad range. Whether he’s playing the awkward and psychotic Travis Bickle in Taxi Driver or the calm and collected crook in Heat, he always manages to put a very raw touch on any performance. The industry wouldn’t be the same without him. Whether he’s playing a robot or even the main character in an X-Men movie, Michael Fassbender always has such a powerful presence. 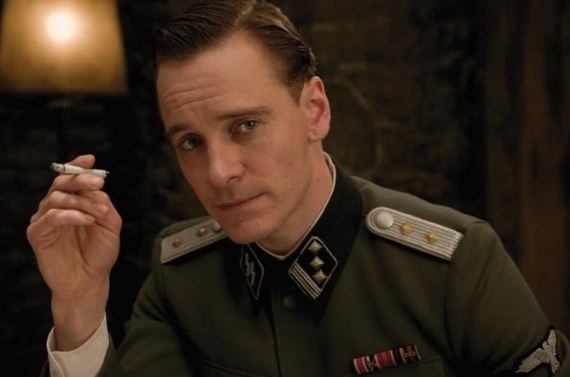 He first caught my attention when I saw him in Quentin Tarantino’s masterpiece, Inglourious Basterds. He didn’t play a huge part in the story, but couldn’t help but command the screen. He has such a naturalism to the way he acts making every single one of his actions feel completely real. If you want to watch truly flawless performing watch Michael Fassbender become his character in Shame. Its slowly starting to be realized by all with each movie he’s a part of, but Tom Hardy is a truly masterful actor. Its a sight to behold anytime he acts. He makes such lucid choices and stays absolutely consistent. Any character he plays becomes so ridiculously defined due to his flawless work as an emotive performer. At this point I can expect nothing less than greatness anytime he chooses to act in a film. It’s always enjoyable to watch him do what he does regardless of the part, be it a charismatic action hero or a feral and emotionless monster of a man. I feel as though there’s an unspoken competition when it comes to the legendary actors, Robert De Niro and Al Pacino. I would have to go with Al Pacino. Every character he plays is made so intensely human due to a dedication to his work. 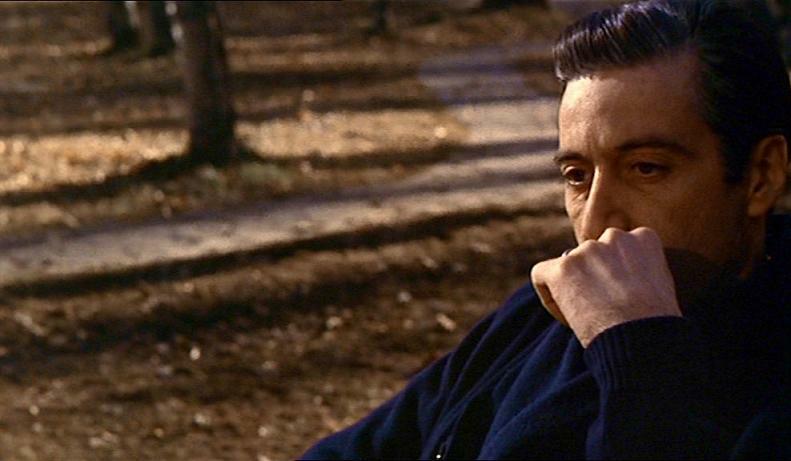 Realism is what it seems to be about with Pacino. Whether he’s chewing apart the screen in Scent of a Woman or playing a more cool-headed ex-con in Carlito’s Way, with confidence he always manages to bring out the humanity in the men he becomes. Al Pacino is a true master at what he does. 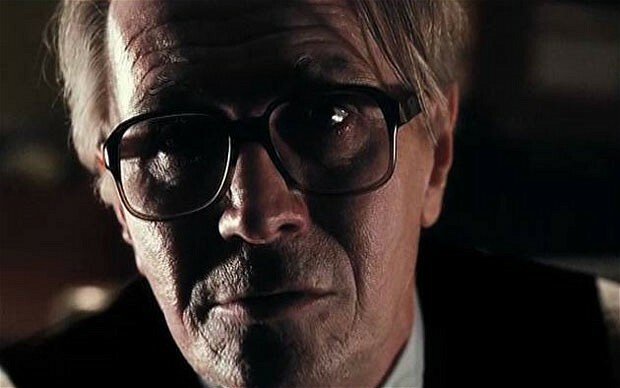 Gary Oldman is a brilliant character actor who is more than capable of playing the leading man as he sees fit. He has one of the widest ranges of any actor who has ever performed. He can play a ferocious villain in an action movie such as Air Force One and he has the ability to play a more subdued protagonist in a complex drama like Tinker Tailor Soldier Spy. With maturity and grace, Oldman makes everything he does so completely memorable. Gary Oldman is still working today, but he’s already left such a lasting and magnificent legacy with the fascinating ways he takes on the vibrant characters he plays. 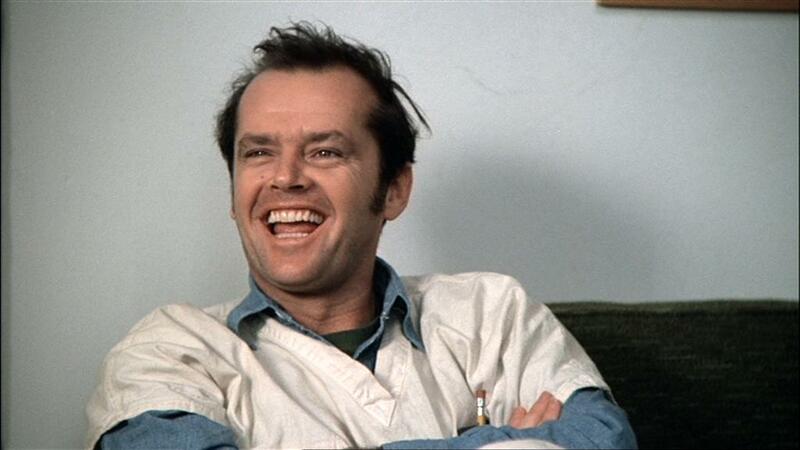 Ever since I fell in love with the art of film, I’ve always considered Jack Nicholson one of my favorite actors. It’s hard not to love the actor when you look at his track record. He is extraordinary, that’s all there is to it. Due to his work as a magnificent performer he is partly responsible for some of the masterpieces fundamental to the progression of cinema. He’s always having fun just doing exactly what he does best, perform flawlessly. Jack makes you feel it no matter what it is. When he laughs, yells, cries, breathes, it’s not him, it’s his character. Jack Nicholson is an incredible artist and one of the best there is. There is something so miraculous to the way Christian Bale completely throws himself in his roles. Regardless of the character, he makes you believe it. As Batman he’s heroic, as Patrick Bateman he’s psychotic, as Dicky Eklund he’s pathetic, as Alfred Borden he’s enigmatic and I could easily go on. It’s as if he just has some kind of vast knowledge on exactly how to tap into the mind and shoes of the characters he portrays. Christian Bale defines a generation of actors who have learned a lot from a long, long history of film and excels because of that knowledge. Daniel Day-Lewis is a phenomenal artist and the greatest actor working today. He is incredibly deliberate in the choices he makes and I don’t just mean in the ways he chooses to portray a character, but also in the characters he chooses to play. He’s touched on such a broad spectrum of emotions and he does so flawlessly. No one does it the way Daniel Day-Lewis does it. You want to talk about intensity in performance, just watch him tear through the scenery as the violent villain, Bill “The Butcher” Cutting in Martin Scorsese’s Gangs of New York. 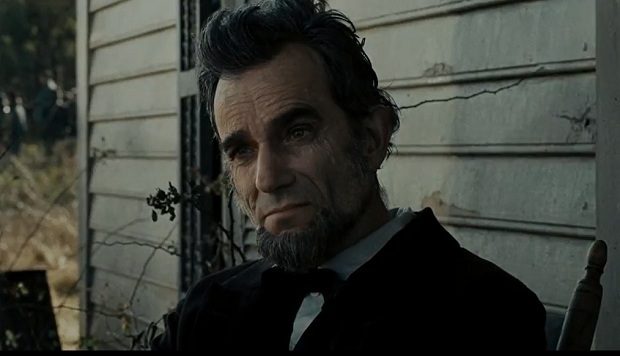 Steven Spielberg’s Lincoln is coming soon and I just can’t wait to see what Day-Lewis does with it. Daniel Day-Lewis blows me away any time he takes on a performance, but it’s in There Will Be Blood where he really hits his stride and shows just how extraordinary a performance can be. Paul Thomas Anderson’s There Will Be Blood is an epic character study about consumption, greed and the American nightmare. At the heart of the film is the complex and depraved oilman, Daniel Plainview. Rarely does the film have a scene without its black-hearted protagonist. It’s one of the juiciest roles in all of film and as always, with precision and dominance, Daniel Day-Lewis plays the character to perfection. Heath Ledger is the greatest artist to have ever acted in film and its a shame to think about what could’ve been. The Australian actor was only 28-years-old when he passed away and all we have of him is an enigmatic and extraordinary career that was tragically cut very short. Even since a very young age, Heath showed great promise when he took on any role. No matter what it was, be it an rollicking adventure movie like A Knight’s Tale or a serious drama like The Patriot, Heath Ledger showed more than potential to be one of the greats. A turning point that marked the career of a mature and defiant actor was Heath Ledger’s performance of Ennis Del Mar in Ang Lee’s Brokeback Mountain. This was a role that needed a powerful and honest performance and Heath Ledger responded with a portrayal that exceeded those necessities. Heath Ledger is an extraordinary actor who never needed to prove anything, but if he did, he proves it here. You’d be hard-pressed to find other performances that are as touching and real. Heath Ledger is the kind of actor who just seems to have fun with whatever he’s doing. He loves doing what he does and just happens to be the best at what he does. Never did he have more fun with a role than when he gave not only the greatest performance of his career, but the greatest performance in the history of film. In The Dark Knight, Ledger was universally praised for his realistic portrayal of one of the most iconic villains in the history of stories. 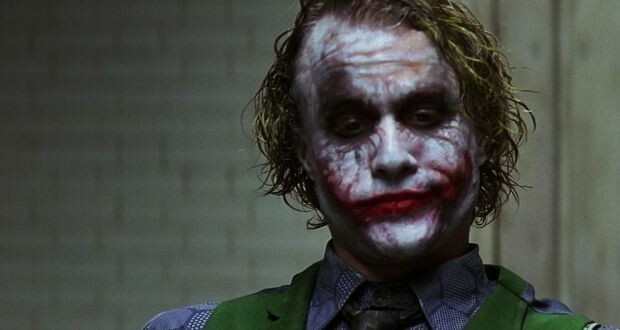 In The Dark Knight, Christopher Nolan and Heath Ledger crafted the greatest character in film, which is in part due to a landmark performance that cements Heath Ledger as the greatest actor to have ever performed. The story that Christopher Nolan has told with The Dark Knight Legend (or The Dark Knight Trilogy) is the pinnacle of storytelling. It is the greatest ever told and no great story is complete without rich and vibrant characters. The Dark Knight Legend easily offers some of the most incredible characters ever realized. The agenda of this list is simple, to pay respect to the awesome characters that make up the greatest story ever told. Here are my favorites. Upon first meeting Miranda Tate you come to realize what a kind soul she is and how fitting it is for her to be Bruce Wayne’s love interest. By the end when hope prevails and Batman triumphs over the monstrous Bane. All hope is lost when the vindictive villain, Talia, reveals herself to the now heart-broken Bruce Wayne. She is daugher to Ra’s Al Ghul and wants nothing more than her fathers legacy fulfilled and Batman to perish. If you’re looking for the heart and soul of this entire dark and emotive legend, look no further than Bruce Wayne’s wise butler, Alfred J. Pennyworth. For whenever Bruce Wayne’s journey seems perilous, Alfred does what he can to keep our hero on the right path. It must be difficult for Alfred to watch someone he cares for like his own child go out and sacrifice himself every night. He deals with every situation as it comes with wisdom and grace. The Dark Knight tells a flawless tale about good and evil. The prominent backbone of this powerful story is one of a man. Harvey Dent’s journey from charming and brave “White Knight” into the vicious killer “Two Face”. By the end of this story were made to believe that this hero goes on a murderous rampage and it completely works. Dent is broken down as a man and consumed by evil. He’s given every reason to turn wicked so it only makes sense that he does. 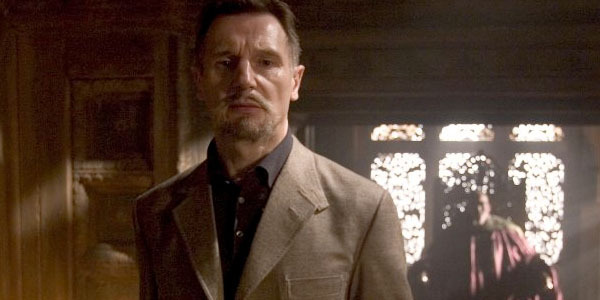 I could not comprehend better renditions of these characters and the same goes for Liam Neeson’s astounding portrayal of the leader of The League of Shadows, Ra’s Al Ghul. Even though he ends up being the prime antagonist in Bruce Wayne’s journey into becoming the greatest hero the world has ever known, he is the man responsible for training man who would become Batman. Where the two men differ is in the ways the choose to dispense justice. From the moment he walks on screen to the final shot and defining shot of the legend, Blake epitomizes the idea of a man who can take up the cape and cowl of Batman. “You should use your full name. I like that name, Robin.” From that moment on it was fully realized that Nolan had done with the character, Robin, what he had done with every character he adapted from Batman lore. He captured the essence of the character while realistically applying him to his own legend as man who could take up Batman’s mantle. Selina Kyle is the perfect love interest for Batman and though she’s never given the nomenclature in the film but, Selina Kyle is Catwoman. A thief by necessity, Catwoman loves this dark persona she’s created for herself and the life she leads, but the ground is shrinking beneath her. She needs a way to start her life of crime over, but Bruce Wayne sees the good in her and it’s love that proofs he’s right. She tries so hard to show this mysterious darkness in her, but at the end of the day she can’t deny the undeniable fact that she’s a hero. Since long before Bruce Wayne became the now legend that is Batman, James Gordon was fighting the good fight in a war on injustice. And ever since Batman Began, Gordon has been there with him on the battlefield. He is law and order personified and we watched him grow as we watched Batman grow, in Gordon’s case from Sergeant to Commissioner. Gordon was recruited by Bruce Wayne even before the man that would become Batman put on the cape and cowl and he’s been there since the end. Gordon and Batman represent a friendship based solely on two mens need to turn fear on those who prey on the fearful. In becoming the legend known only as Batman, Bruce Wayne is the greatest hero ever crafted making him one of the greatest characters in film.”Anyone could be Batman, that was the point.” Not only as Batman, is Bruce on a quest against evil. He’s also a symbol for hope in a world filled with injustice and despair. Batman is good for the sake of being good and he does the right thing because it’s the right thing do and not only that, he will do everything in his power and battle until his last breath to do just that. This entire legend is a tale of heroism and though the journey was arduous the hero at the centre of this masterpiece is a knight and legend known as Batman. Bane completely envelops the idea of despair and his name is incredibly fitting as he is the Bane of Batman. While The Joker is pure evil fighting against all that is good, Bane is battling to torture and extinguish the hero of our story who fights for all that is good. He was born in darkness and by the end of a battle between our hero he is consumed by animosity towards the hero of the story even to the point of denying the dying wish of the only person he’s ever loved. “We both know I have to kill you know. You’ll just have to imagine the fire,” he says before putting a shotgun to Batman’s head. Bane is an intimidating and emotionless brute force, one the greatest villains in film and one of the greatest characters in existence. The twisted, dark and chaotic anarchist, The Joker, is like Batman in the way that he is a symbol. There is an undeniable balance between Batman and The Joker in the way the way that while both fight for something, they are polar opposites. Whereas Batman fights to his last breath for all that is good, The Joker fights for and would die for all that is evil. Batman is a symbol for good and The Joker is a symbol for evil and the continuos battle between the two is poetic and beautiful. The Joker is the epitome of evil and the greatest villain ever created. 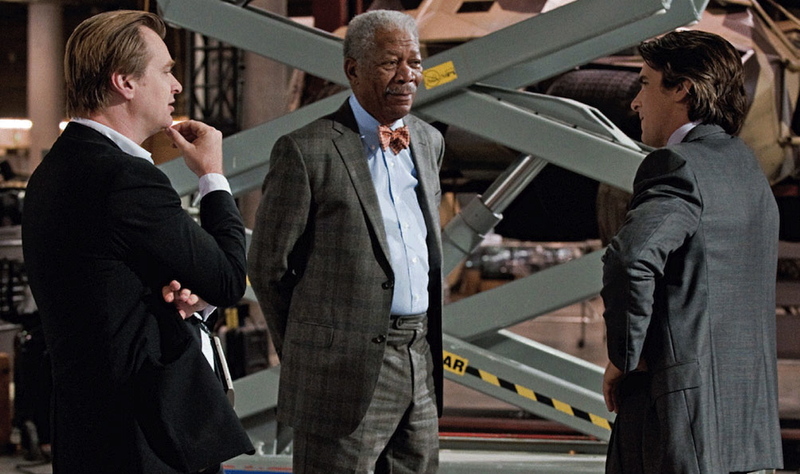 What Christopher Nolan has done is crafted a perfect and definitive story of an icon. With Heath Ledger at the helm, what is fully realized in The Joker is the greatest character of all time. A story is nothing without a conflict overcome and more often than not conflict is personified in one character we call a villain. Behind the quirks, charisma, entertainment that The Joker offers as the clown he is, no villain could ever be as purely evil as The Joker. I have never been more excited for a movie than I was for The Dark Knight Rises. I loved every single solitary second of Batman Begins and The Dark Knight. The Dark Knight Rises was the sequel to my favorite movie and the definitive end to what I could easily call my favorite series. My wild expectations were exceeded with the masterpiece that is The Dark Knight Rises, because with this epic Christopher Nolan has crafted the perfect ending for the perfect story. The endings of both Batman Begins and The Dark Knight offered resolution, but Gotham wasn’t saved the way Bruce Wayne had set out to save it as the symbol for good, Batman. They weren’t happy endings, but they did offer hope for brighter days. Hope is a large undertone of The Dark Knight Rises mainly because all of it is dashed with the emergence of a new threat against Gotham, Bane. Bane is an intelligent brute force and he is the most intimidating presence I’ve ever seen depicted. He’s a revolutionary tyrant (although there’s more to his agenda), he’s his own General and he’s his own greatest soldier. 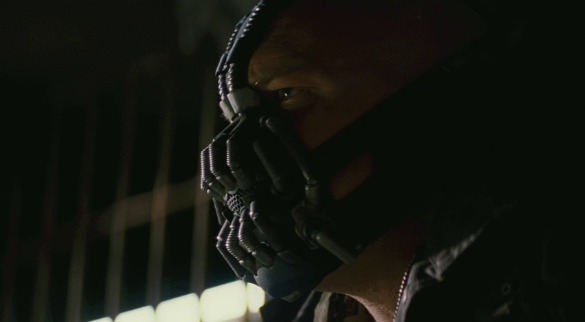 Bane has never been more appropriately titled than he was in The Dark Knight Rises because what Christopher Nolan and Tom Hardy have created is the bane of Batman’s existence and the good he’s meant to inspire. There is a poetic and constant battle between a symbol for good and a symbol for evil in The Dark Knight, but unlike The Joker, Bane has a plan and it involves destroying Batman and everything he cares for. However, The Dark Knight Rises isn’t just simply about Batman’s struggle against Bane, a story like that had already been told. Batman Begins told the perfect hero’s journey, it was a tale about one man, Bruce Wayne and his journey to becoming a true hero, Batman. The Dark Knight was about good and evil and the balance the two offer, Batman and The Joker. The Dark Knight Rises, however, is about the beating heart of a city. It is a sweeping epic that utilizes every character we’ve come to know and love and manages to introduce a few more incredibly fundamental pieces to the puzzle in order to tell a story of hope, triumph and the heroism that can only be described as legendary. The Dark Knight Rises was filled with talent on and off the screen. Tom Hardy who gave a magnificent and very physical performance as Bane wasn’t the only new cast member. 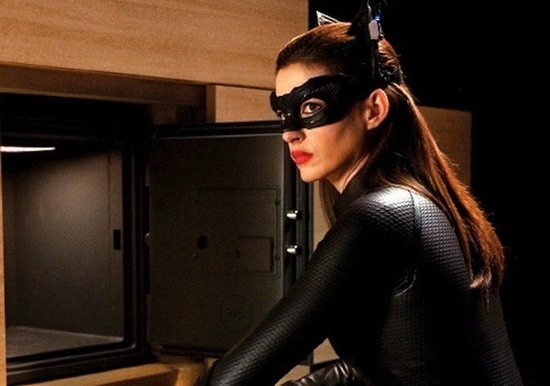 There was the always brilliant Marion Cottillard, the extraordinary Joseph Gordon-Levitt and Anne Hathaway who offers the flawless performance of what should be considered the greatest and definitive Catwoman. Wally Pfister, again takes to the camera (apparently for the last time) and Hans Zimmer finishes what he started in the first two and with The Dark Knight Rises, Zimmer offers in The Dark Knight Legend the greatest score in film. Every recurring actor offers easily their best performance of the series, including Christian Bale as a Batman past his prime. The Dark Knight Rises accomplishes the monumental task of beginning flawlessly and only getting better as the film progresses. As the stakes and tension rise so to does your involvement in the story and then the ending is fully realized. The Dark Knight Rises offers nothing short of the greatest ending in film. The word epic was never fully understood until I was able to finish watching The Dark Knight Rises. With this film, you’re being thrust into so many different events and characters it’s almost hard to take it all in, but when put in the hands of a story teller of this caliber, you can’t expect anything less than a miracle. 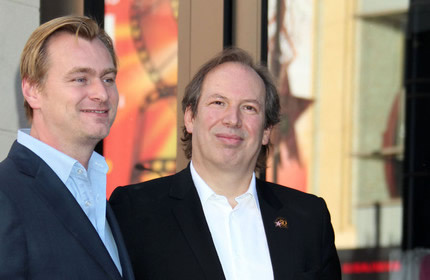 Christopher Nolan, with the help of his cast and crew, did exactly what he set out to do. He masterfully weaved together what he had done with Batman Begins and The Dark Knight and told the ending his story deserved and needed. And that is nothing short of miraculous. The heroic character that Nolan and Bale have slaved over has gone through quite the journey and every journey has to come to an end. The Dark Knight Rises is that end. Ever since I was able to witness The Dark Knight four years ago, I called it my favorite movie, but upon seeing The Dark Knight Rises I realized that the two are right on par with each other. Batman Begins is just as flawless, but because it is a simple origin story that absolutely needed to be told the exact way it was told it wasn’t able to touch on the complexities, themes and emotions that The Dark Knight and The Dark Knight Rises are able to delve into. My favorite word to describe a movie that I love is, and I don’t use it lightly, masterpiece. However, that doesn’t seem like enough for this trilogy. The Dark Knight Legend is not only the greatest movie ever created, it’s the greatest story ever told. To preface this list, I think it would be best to explain exactly why I felt the need to make this list in the first place. The reason is pretty simple, because The Dark Knight Rises deserves it. The film easily finds its way at the top of my Top Ten Most Anticipated Movies of 2012 and to put it as bluntly as possible, I have never wanted to see a movie more than I want to see The Dark Knight Rises. I seriously doubt I ever will. I made this list because I love movies and I’ll be watching them the rest of my life, but I sincerely doubt that I will ever have a physical need to see a movie that is as potent as my need to see The Dark Knight Rises. There are less then a hundred days left before I see my most anticipated movie of all time. These are the reasons that make even another second of waiting feel like torture. Maybe I’m being a bit dramatic, but seriously I can not WAIT for July 20th. 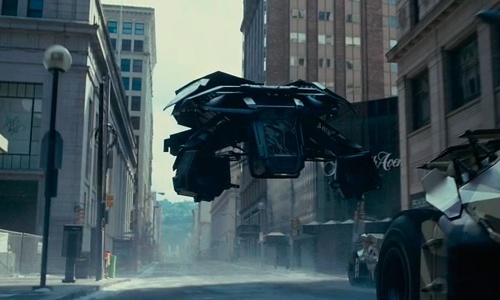 I chose “The Bat” in particular because it’s the new vehicle and just one of the many things that will allow this film to stand as a different film than Batman Begins and The Dark Knight. With this number 10 slot, though I chose and said “The Bat”, I do also mean the tools that will help Batman accomplish his goals, such as that gadget with a blue light we see Batman holding in some images and what looks to be the Bat Cave in a select number of shots. Aside from possibly Ennio Morricone, Hans Zimmer may just be my favorite Film Composer. His touch on Christopher Nolan’s Dark Knight Legend is magnificent. He created an illustrious score for Batman Begins, upped the ante with The Dark Knight and based on what’s been heard so far, The Dark Knight Rises may be his best work yet. Ambitiously, not only has he crafted more beautiful notes and added them to a now classic score, he’s also incorporated some haunting chanting. Like The Dark Knight, I’m sure The Dark Knight Rises will stand a part from its predecessors as its own film. On top of that though, it seems The Dark Knight Rises will also be able to continue a story if only due to the fact that Ra’s Al Ghul and Talia Al Ghul are playing some part in the film. There is no way of knowing exactly how The League of Shadows will play a part in this film, but its an idea that makes me very excited. The entire Dark Knight Legend has offered some of the greatest casting that a series has ever had to offer. Marion Cotillard and Joseph-Gordon Levitt are two of the greatest artists regularly working today and it only makes sense that they find themselves on the cast list of one of the most anticipated movies of all time. There are a lot of rumors surrounding both of their characters. Miranda Tate may just be Talia Al Ghul and a wilder rumor is that John Blake becomes Robin. We won’t know for another three months. Though Anne Hathaway was an awesome choice as Catwoman, when I first heard that there would be a Catwoman in the film at all, I wasn’t sold on the idea. I wasn’t sad because I knew that Christopher Nolan wouldn’t disappoint, but I was just very curious exactly how he would pull off the female anti-hero. As July 20th comes closer, it’s obviously not clear where Catwoman will play in all of this, but the idea of figuring that out is giving me goosebumps. I said “The Mystery”, but I more so meant the aura of mystery. Of course there are select things that many people know about The Dark Knight Rises and there are things, based on what we’ve seen, that some people may be able to assume. Aside from that though, what do we really know? The Dark Knight Rises will be a long movie, most likely longer than The Dark Knight’s two and a half hour running time. There are only a few select people that know, story-wise, exactly where Nolan goes with The Dark Knight Rises like many I’d like to know where that is. 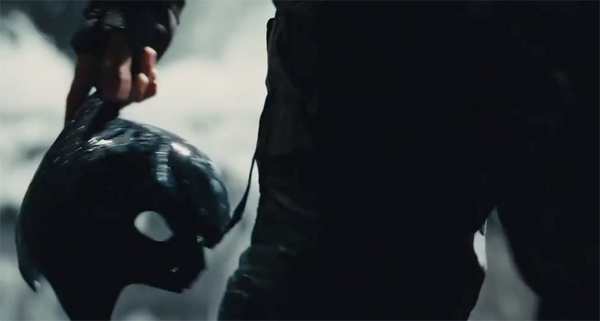 Pictured above is the last image shown in first teaser trailer for The Dark Knight Rises. They could’ve shown the title and I would’ve been excited, but instead they showed a fantastic Commissioner Gordon monologue and ended it with an image of a confident Bane approaching a terrified Batman. That final image left me drooling in anticipation for not just the movie as whole, but that fight between the antagonist and the protagonist. The trailers have featured other fights since and I’m ecstatic about those as well. 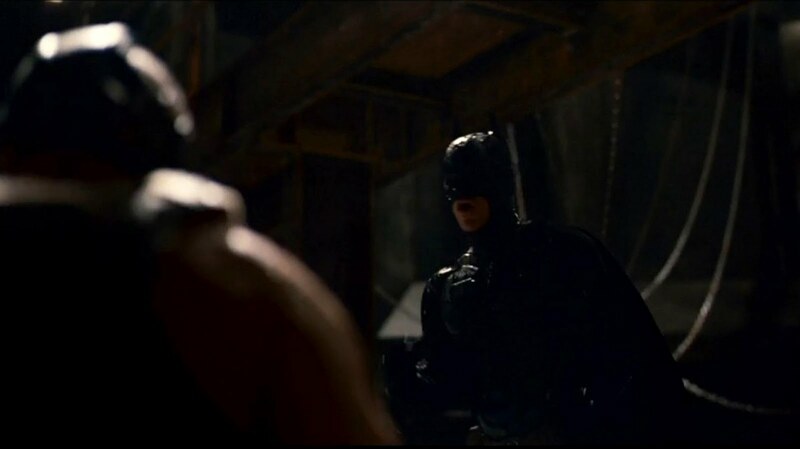 I still can’t help but look forward to the scene in Nolan’s Dark Knight Legend where Bane may just break the Bat. The original plan was to make one of the reasons “The Returning Actors” and then another reason “Christopher Nolan in the Director’s Chair”. I decided to combine these two into this one reason. Both Batman Begins and The Dark Knight offer two of the most incredible casts in film and most of both of those casts are found in The Dark Knight Rises. All of the cast and characters you’d expect to find are all there, Christian Bale, Gary Oldman, Michael Caine, Morgan Freeman, even Liam Neeson is making a small appearance (presumably in a flashback). They will again be directed by Christopher Nolan, a director who has never even come close to letting me down with the masterpieces he’s crafted. 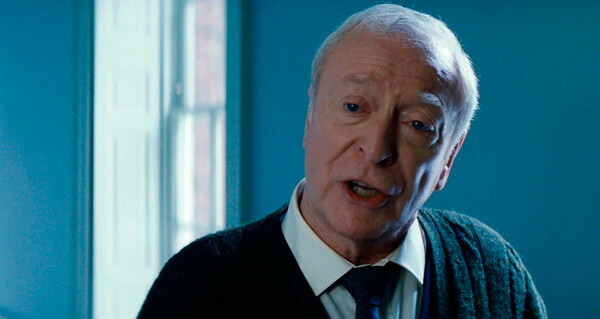 I can’t express just how much I doubt that Nolan will let me down with The Dark Knight Rises. I absolutely love a good villain. If a film calls for an antagonist, your film won’t be compelling without a compelling villain. As far as the trailers and viral-campaign have established, the main antagonist and driving force of The Dark Knight Rises is Bane played by Tom Hardy. All I’ve got to work with are some images, a single quote in the full-length trailer and the first six minutes of the film and I am completely and with out a doubt in my mind, sold. Tom Hardy as Bane looks to be an amazing villain. With a lot less insanity it seems Hardy will bring the intensity he’s capable of portraying (as seen in Bronson), but with a little bit of charisma you’d expect from a Christopher Nolan character. There’s almost a kind of magic to the mythology between Batman and The Joker (Heath Ledger created my favorite villain in all of film) in the way one is pure evil and one is pure good. It looks like what Bane will bring to the table however, is the perfect opposition for Batman at this point in the legend. This is it, this is the end. The Dark Knight Rises is the film that will conclude the Dark Knight Legend that Christopher Nolan had began crafting almost a decade ago. It is my favorite series of film and The Dark Knight is far and away my favorite movie of all time. That makes The Dark Knight Rises, not only, the sequel to my favorite movie, but the end of my favorite series of films. From the looks of the bleak and haunting posters, The Dark Knight Rises looks like it will turn out to be one epic ending. I’ve always had a thing for endings. While I can admit the first films of the Pirates and Matrix series’ are the better films I personally garner more enjoyment out of The Matrix Revolutions and Pirates of the Caribbean: At World’s End. Even Revenge of the Sith is my favorite Star Wars. And though I consider The Lord of the Rings one story, my favorite of the three chapters is The Return of the King. That’s not to say that I believe I’ll find The Dark Knight Rises to be my favorite, I’m merely showing proof that, for me, there are a lot of assurances that The Dark Knight Rises is going to be amazing. The Dark Knight Rises is the end. Combined with the endless list of other reasons, that reason alone makes the idea of walking out of the theater after seeing The Dark Knight Rises, a bittersweet moment. All of that waiting, anticipation, and expectations will have culminated into one film viewing experience. I simply can not wait to see The Dark Knight Rises for many reasons, but most of all because it is the ending to my favorite cinematic story ever told on film and if the ending is anywhere near as good as its predecessors, the legend as a whole may just be a step above perfection.